I remember my first PEZ dispenser; do you? It was Snoopy, my all-time favorite cartoon character. The Boy started a collection several years ago, and R2D2 was the star of that show. It’s since been passed down to The Girl, and she’s glammed up the group with Hello Kitty and a princess or two. 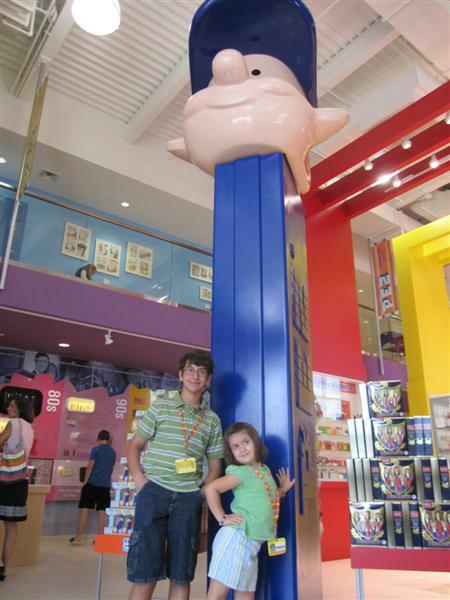 The kids and I drove over to Orange, CT to visit the PEZ Visitor Center, home to the world’s largest PEZ dispenser, as well as the world’s largest public collection of PEZ memorabilia. It was one of those late summer days, when camps have ended and the first day of school is still weeks away. We were bored. 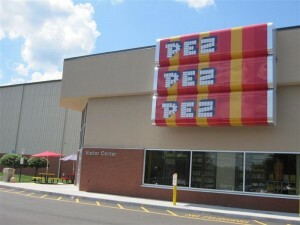 If you’ve nibbled on a pack of PEZ at any time over the past 30 years, it was made here at this manufacturing facility. 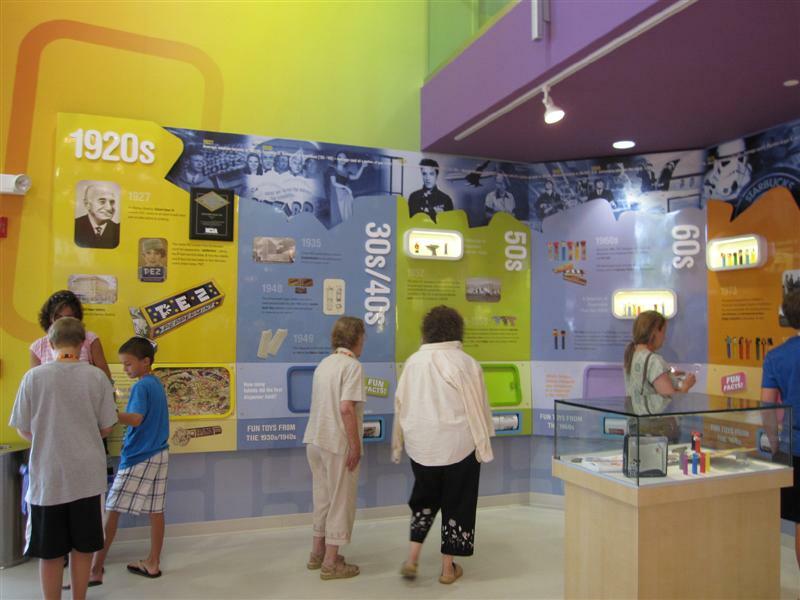 The visitor center is a new addition, acting as part museum, part attraction. As soon as we got out of the car, I smelled the sweet scent of cherry candy in the air. Once we entered, our eyes went straight to a wall covered by rows of PEZ dispensers, and a PEZ motorcycle hanging from the ceiling.Beyond the ticket window, you’re greeted by a giant, 12-foot tall PEZ dispenser, topped by a boy’s head with a blue baseball cap. Adorable. You’re free to explore this place on your own, and you’ll have to give and take. 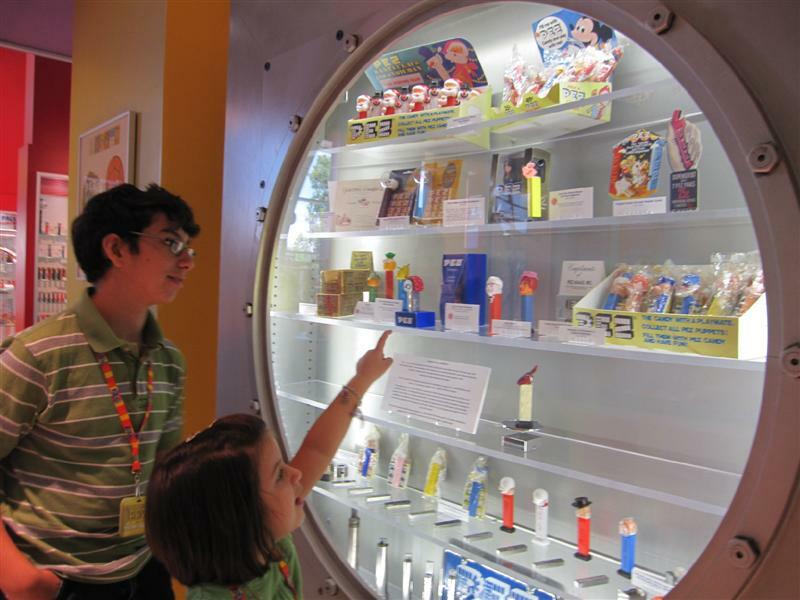 There are the decidedly kid-focused activities, like a create-your-own dispenser table, alongside the display cases of vintage memorabilia. There’s a fascinating historical time line across two walls which appeals those of us old enough to remember some of these earlier decades. Included here are bits of fun trivia. 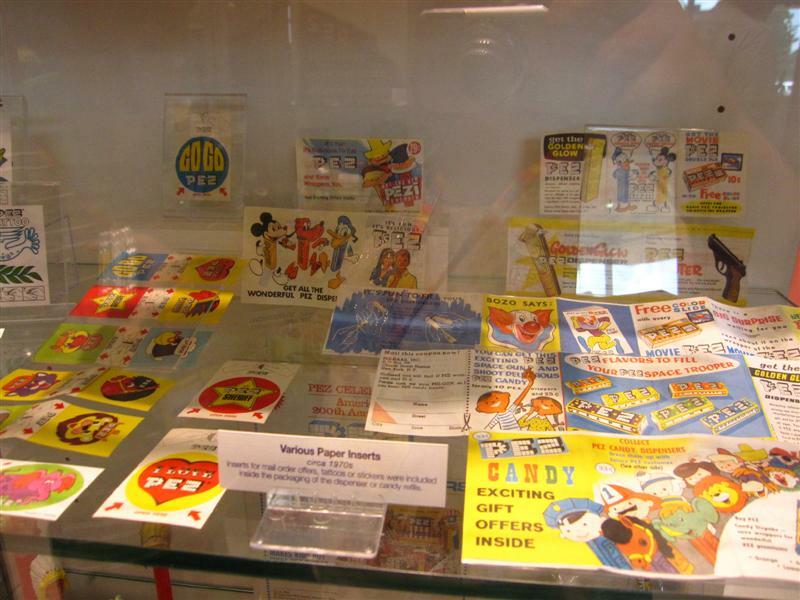 Among the displays — safely presented behind glass — are designs which have long been retired, as well as related merchandise used to sell PEZ. Many items brought back memories for me, including the costume sleeves made of cardboard which you would slip over the dispensers. I found a shelf containing tattoos and stickers from the 1970’s, including one with Bozo the Clown, which I recognized instantly. The “vault” display contains the rarest dispensers in the collection, including a one-of-a-kind political donkey head dispenser presented to President John F. Kennedy during his visit to Vienna in 1961. In the lounge upstairs, you can watch video clips of old PEZ commercials, and look at the display of 1960’s PEZ dispenser vending machines from the U.S. and Europe. On every wall are black and white photos and other ephemera showcasing moments in PEZ history. For the kids, there’s also a touch-screen PEZ trivia game kiosk, and a video recording station where you can film a greeting and email it to friends and family. If you go on a weekday, you can watch PEZ being made and packaged through the large viewing windows which separate the visitor center from the production floor. Of course, there is a gift shop, offering many hard-to-find PEZ flavors like chocolate, cola, and the “Sourz” varieties. There are bulk bins too, so you mix and match flavors. As for dispensers, you may find new or seasonal characters to add your collection. Strawberry Shortcake made the trip home with us that day. 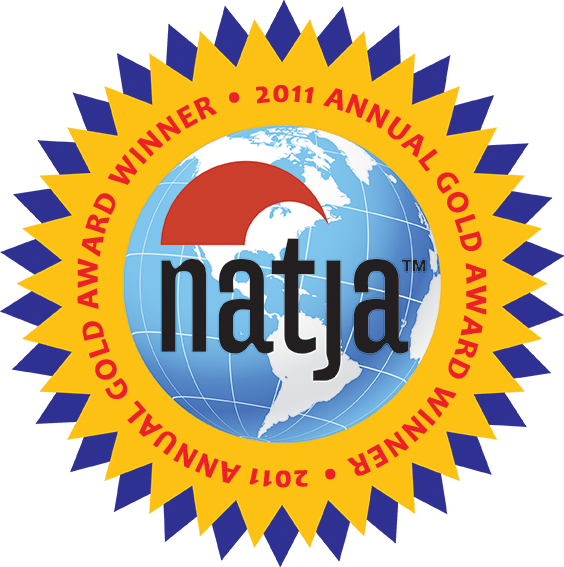 Seriously fun for a trip down memory lane, with several kid-friendly draws, but you only need about an hour or two to get through it all. Glad to see you are raising the kids the right way!! So many miss out on the GOOD things in life!! Did I read that correctly? 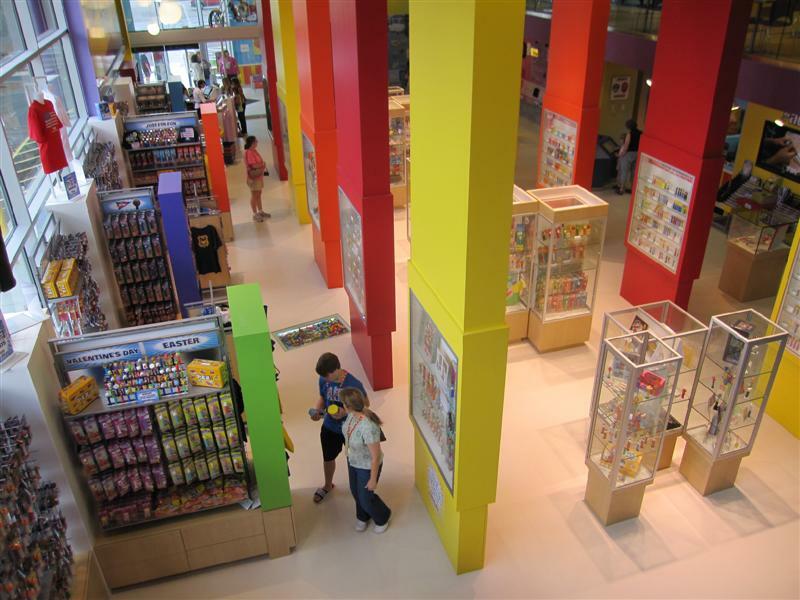 World’s largest “PUBLIC” collection of PEZ memorabilia?!?!?! Does that mean that someone with far too much time on their hands (and likely horrible teeth) has a larger personal collection? I loved PEZ candy as a child! My favorite PEZ container was Popeye..lol! This looks like a wonderful place to visit! It was nice visiting you today through “Oh, the Places I’ve Been”! Thanks for stopping by, Pat! I think I remember the Popeye PEZ! With so many sisters I don’t know that my first Pez dispenser was really MINE! But I think it was Woody Woodpecker?!?! Not sure. I think this would be fabulous with kids (a little older than mine)! Great one to tuck away! Thanks! I never knew there was such a history. So neat. You know I’m pretty sure eBay started to sell Pez dispensers from the founders attic. Haha. WOW! This is so cool! I kindda remember my brother’s and my collection of PEZ when we were younger. So sad that we had to sell those pieces during our garage sale.